Antique, vintage, second-hand, and used… Those are words that come to my mind when I hear “Roadshow”. The iTech Solutions POWER8™ & IBM i 7.2 Roadshows are none of those things. These Roadshows are about what is new and exciting with the IBM POWER8 servers and the latest level of the OS. If you are still running any of the vintage Power5 or Power6 servers these Roadshow presentations will have everything you need to know about how the new POWER8 servers can vastly improve your operating environment and reduce costs. Pete Massiello of iTech Solutions will present multiple sessions at this roadshow location. The first session covers the IBM POWER8 servers and how they can significantly improve your organizations processing capabilities. The second session covers the announcement of enhancements that are available in IBM i 7.2. Join us for the iTech Solutions POWER8 and IBM i 7.2 Roadshow where you can learn all about these exciting new announcements that reinforce IBM’s continued commitment to the Power Systems platform and the IBM i operating system. This session will review the current IBM POWER8 announcements and how they will improve the processing environment and enhance your investment in the platform. The session will cover the POWER8 processor architecture, new disks and controllers, and the models of the POWER8 scale out servers currently available and what is coming in future announcements. If you are still running any of the vintage Power5 or Power6 servers this presentations will have everything you need to know about the new POWER8 servers and how they can benefit your organization. This session will review the announcement of availability of IBM i 7.2. That announcement covers enhancements to Security with RCAC(row and column access control), RPG and Applications Development, SQL Performance, Mobile Access, Java, Navigator for i, Websphere, Zend, IBM i Access and BRMS. This session will also cover what previous levels of Power Systems will support this new OS level and which one will not. Pete Massiello has been working with the AS/400, iSeries, i5, IBM i since 1989, focusing on system management and technical support. He has held numerous technical positions through out his career. He is the President of iTech Solutions Group, an IBM Premier Business Partner delivering solutions and services to IBM i shops throughout the US. He is a member of IBM's certification test writing team, and IBM Certified Systems Expert with certifications in iSeries Design, Administration, Implementation, LPAR, and HMC management. Pete has a BS in Computer Science from Hofstra University, and an MBA from the University of New Haven. He is current President of COMMON, a COMMON Silver medal winner, and a frequent speaker at user groups all over the world. Pete was one of the initial IBM Champions for Power Systems. In this session we’ll introduce the basic elements behind embedding SQL statements into an RPG IV program. The session will cover the syntax requirements, and discuss when embedded SQL is appropriate. You’ll understand the differences between static and dynamic SQL statements. We’ll cover how to interact between SQL host variables and RPG variables, as well as indicator variables, host structures, and indicator structures. Regardless of what IBM i release you have installed, we’ll talk about the best way to integrated SQL statements with free format RPG code, and how embedded SQL works with RPG subprocedures and local variables. So you think a serial cursor is someone who habitually uses foul language? And fetch only applies when you’re playing Frisbee with your dog? This session will disabuse you of those notions. We’ll discuss the differences between serial and scrollable cursors, and how to use them to have your RPG program read and update database records. There will be coding examples of fetching and inserting multiple records using SQL. We know your code would never cause an error, but just in case something slipped past the programmer who wrote the code, it’s good to know how to catch any problems that might crop up while the program is running. This session will cover return codes, communications areas, and provide some simple error handling code that you can include in all your programs. This session will also cover in detail the differences between static SQL and dynamic SQL, and point out the advantages and restrictions of each. The session title says it all: coding tips, style guidelines, procedures, ILE issues, tricks to make SQL and RPG play better together – this session will wrap up a number of miscellaneous useful topics that will help you get started with embedded SQL, or improve your existing code. Bring your own tips, as well, to share with the group. Bryan Meyers is well known to IBM i technicians as the author of a number of popular books and frequent magazine articles. His programming, management and consulting career has spanned most of the IBM midrange history, from the System/360 through the AS/400, iSeries, and IBM i. For much of that time, Bryan was the IT director for an international hospitality franchisor. He has also managed computer operations for municipal government, international construction, and broadcasting media industries. Currently, Bryan offers on-site corporate training classes in IBM i technical topics, as well as online programs. Bryan’s most popular books include RPG IV Jump Start, Programming in RPG IV, and Control Language Programming for IBM i, all recognized as benchmark references in the IBM i community. In this session, we will look at the major features of the .NET environment and how it fits in with the IBM i.
Microsoft SQL Server is a widely used database server that is found in many IBM i shops. Using database drivers provided by IBM, you can connect SQL Server to your IBM i, enabling you to move data between the two systems. In this session, you'll learn the basics of SQL Server, how the IBM database providers can be used with SQL Server, and how to create and work with a Linked Server. You'll see how you can run SQL statements in SQL Server that access IBM i data for read, insert, update and delete operations. You will learn about SQL Server data transfer packages, and the tools that are available to create and run packages. You'll also learn about other features of SQL Server, including SQL Server Reporting Services (SSRS) and SQL Server Integration Services (SSIS). Included with the session is a PDF lab handout that shows the steps used to create a Linked Server and run SQL commands using it. Many IBM i developers create web applications with RPG or PHP, extending the reach of their company and helping users to be more productive. So if you know how to create IBM i web applications, going mobile should be simple, right? After all, all of the popular mobile devices have web browsers, so you simply bring up the pages. Right? Unfortunately, a web page or form that looks great in a desktop browser is probably unusable on a mobile device. The phrase "fat finger" really means something when you work with data in a mobile browser. In this session, you will learn how you can use the freely available jQuery Mobile Framework to create easy to use mobile web applications. You'll see "before" and "after" images of web forms that have been enhanced with jQuery Mobile, and you'll see exactly what the code looks like. Once you see that you can leave out most of the hard parts of mobile web development by using jQuery Mobile, you'll be confident that you can deliver mobile applications that your users will really appreciate. As a developer for the IBM i, you may need to provide applications or features that require more than RPG or COBOL. There are many Java solutions that are available and can be used on the IBM i. Your challenge, as an IBM i developer, is to get the Java code working with your RPG or COBOL applications. In this session, you will learn the basics of getting Java applications installed and running on the IBM i. You'll learn how Java code is packaged in class or JAR files, how those files are installed in the IBM i IFS, how the CLASSPATH is used to provide access to Java code, and how to run Java applications. You don't need to know the Java language or object-oriented programming to benefit from this session. If you just want to get a Java application installed and running on your IBM i, you need Just Enough Java to get it working! Craig has been programming IBM midrange systems for many years, having started as a weekend computer operator on a System/360 model 20. His articles have appeared in Midrange Computing, NEWS/400 and other industry publications. He currently develops and conducts eLearning courses for iProDeveloper, in addition to providing consulting services for IBM i, .NET and Java. 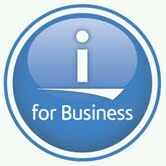 DB2 Web Query is included with IBM i if you originally had Query/400. Each site is entitled to at least give the Express version a test-drive. The capabilities of WQ far exceed that of Query/400 however, enabling powerful business intelligence reporting. This includes everything from "standard greenbar reports" to Key Performance Indicators, charts, graphs and more - all easily created with the WQ tooling. Learn about the capabilities and see examples of how this might improve reporting in your organization. Rick Flagler is a consultant, trainer and mentor, focusing on DB2 performance, business metric development and DB2 Web Query. Rick has held IT management positions with The Timken Company and MPB Corporation, leading software development and installing ERP systems from SAP, Oracle and INFOR. Starting with the System/38, Rick is a long-time and enthusiastic supporter of IBM i on the POWER platform. Rick guided MPB Corporation through their Y2K project, achieving on-time/under budget success. He's an experienced project manager, skilled in database management and user interface design. He specializes in transforming data to knowledge using business metrics and database tools. He is president/owner of Rick Flagler IT Consulting.